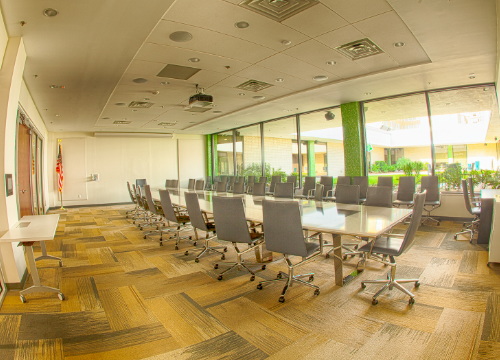 The third-floor board room includes a large, custom built table, extensive technology, and a view of our beautiful rooftop garden. This room is comfortable and well-equipped. Smart Kapp: Digital Whiteboard with Bluetooth: Users will be able to connect their mobile devices to the board to share content that is drawn on the whiteboard with remote users and save to their device.